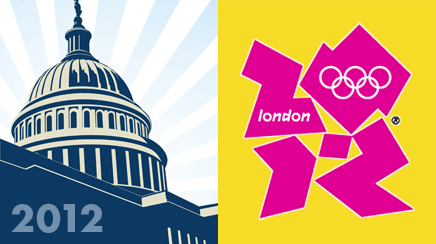 2012 is set to be a big year, with a US Presidential election and the London Olympics on the agenda and the prospect of increased marketing budgets around them. Last year's editors' choice feature opened with the observation that Martin Sorrell would not generally highlight 2011 as a potential blockbuster year for marketing services, because of the lack of major sporting and other events that the WPP boss typically earmarks as positive indicators for the health of his vast agency network. Despite this lack of blockbuster events to stimulate the industry, PR had a great year in 2011 as brands and corporations continued to elevate their appreciation of the integral contribution communications can make to high-level business strategy and corporate reputation, as well as pure marketing services. The unstoppable rise of social media, which is right in PR's sweet spot, powered the sector through a macroeconomic environment that continued to be very challenging. Of course 2012 is a totally different ball game events-wise, with a US Presidential election, the London Olympics, and European soccer championships all on the agenda, and the prospect of increased marketing budgets around them. However, that will all be balanced by more economic uncertainty, especially with continued and exacerbating troubles in Europe seeping over to the US and elsewhere. On balance, PR agencies are well placed to prosper. It was significant that specialist social media agency Big Fuel, acquired by Publicis in 2011, was dumped by its flagship account GM late last year. Big Fuel expanded at a tremendous rate largely on the back of its GM work, but this growth came at the cost of the required organized and cohesive approach demanded by the iconic automotive company, which folded much of its social media work back into its PR roster agencies. However, there is certainly no room for complacency, and client-side communicators are still urging their PR agency partners to go even further in pushing the social media boat out and constructing strategies that really move the needle in terms of business results. It may seem boring to be constantly banging the social media drum, but this is what modern marketing and communications looks like and social media will fundamentally shape corporate reputation and brand interaction for the foreseeable future. Those who think otherwise are kidding themselves. Elsewhere in agency-land, the long-running trend toward consolidation will continue. Marina Maher Communications, an agency flagged up in last year's Editors' Choice piece, was snapped up by Omnicom. Voce Communications also became part of Omnicom under the Porter Novelli umbrella, the highlight of a positive start to 2011 by the Gary Stockman-helmed agency that was tarnished later with the loss of its Gillette work to sister firm Ketchum after a 20-year tenure and the departure of several senior executives. Sorrell's WPP Group bought DC-based government relations and technology specialists Glover Park Group and Blue State Digital. And Publicis Groupe numbered technology and health specialist Schwartz Communications amongst multiple acquisitions throughout the year. The acquisitions reflect a definite trend toward snapping up specialist agencies with excellent reputations and blue-chip clients. For example, Marina Maher gives Omnicom another slice of the Procter & Gamble pie. Voce was a link in to NetApp for Porter Novelli, a client relationship that was strengthened and expanded later in the year to encompass a wider North American and global role. The obvious next question is: which agencies will be the next to be acquired? Names that often come up when this is discussed include midsized firms such as Coyne PR, Lippe Taylor, and WCG. But there is also an opposite trend for agencies such as MWW Group and Brodeur Partners to buy themselves out of the holding company structure, in these cases from Interpublic Group and Omnicom respectively, in the search for a more independent operating structure. Whatever the structure, some constants remain in the dynamic between modern-day clients and their agency partners. Ray Kotcher, CEO of Ketchum, explains: “Clients are more focused than ever on keeping current customers, delighting them, and finding new ones. They are fighting for every relationship. The gadget and computer manufacturer is adjusting to life without its iconic founder Steve Jobs and it will be fascinating to see how it fares under the new leadership of Tim Cook. Jobs essentially led Apple's communications in his own right and he will clearly be an incredibly hard act to follow. Mark Penn appointed top Republican strategist Dave DenHerder as the WPP agency's new US CEO, in good time for the election year ahead. It's an interesting counterpoint to Penn's well-known Democrat leanings and will position the agency as well-placed should Barack Obama turn into a one-term president as many predict. Last year's US Census showed there are 50.5 million Hispanics living in the US, accounting for more than 16% of the country's overall population. More and more companies and brands are looking for Hispanic-focused PR specialists, with Domino's hiring its first Hispanic AOR in 2011. Agencies and in-house communications departments simply have to reflect the profile of the wider population and those that don't want to be left behind. The mega social network, which boasts a user base in excess of 800 million, half of which access Facebook every day, finally goes public in 2012. By any stretch of the imagination, this will be a unique milestone and a fundamental indicator of the increasing value of social media. The Supreme Court will make its decision on President Obama's signature healthcare bill, with hearings set for the spring and a final decision expected by the summer. Healthcare will continue to be a defining issue as the crucial 2012 election draws closer. When we highlighted the iconic WPP PR firm last year, we didn't suspect that fundamental changes would take place as early as January 2011, as global CEO and chairman Paul Taaffe, US chairman MaryLee Sachs, and CMO Tony Burgess-Webb all departed. Incoming global boss Jack Martin rebranded Hill & Knowlton as Hill+Knowlton Strategies, poached Ken Luce to be global COO and, subsequently, Luce's replacement as Weber Shandwick's Southwest president Jody Venturoni as an EVP. Understandably, 2011 was a tough year of transition for Hill+Knowlton, but Martin will feel he now has the team in place that can carry his firm forward in 2012. The vast changes media is undergoing have an enormous impact on PR, and the Huffington Post proved in 2011 that it is not just a passing trend - it is becoming the mainstream. Its page views are expected to outpace The New York Times shortly; it expanded globally last year, and it is adding talent and specialized channels such as HuffPost Gay Voices, Healthy Living, and Marriages/Divorces at an increasing pace. AOL may have bought it out, but it's not difficult to envisage a time when the company is called Huffington Media rather than AOL. Commentators have been lauding the “year of mobile” every year for more than a decade now, but 2012 will finally mark the period of transition from potential into reality as smart phones become ever-more ubiquitous and marketers and communicators work out how content behaves via mobile. PR people will also increasingly use Twitter to pitch and monitor journalists. We highlighted The Gray Lady last year, as it prepared to embark on its paid content strategy, and it is starting to make money online via its newly instigated paywall. Last year was iconic in many ways for the media bellwether, including the appointment of its first female editor-in-chief, but the year ended dismally for the Times, as its stock continued to struggle - down more than 20% over the year - and CEO Janet Robinson decided to depart at a critical point in the paper's evolution. Journalism, media, and the PR industry need a strong New York Times and it is to be hoped the paper has a more positive 2012. As previously discussed, there will be no slowdown in the rise of social media as a tool for brands and corporations to engage their audiences, but look for Facebook and Twitter to be increasingly joined by players such as Google+, Tumblr, Foursquare, Flickr, and Instagram in the pantheon of channels available for content distribution and interaction. Following in the footsteps of Steve Jobs, CEOs increasingly understand that they have to play a key role in leading their companies' communications activity, and Starbucks' Howard Schultz certainly played a key role in spearheading the coffee firm's rebranding efforts last year. Look for this to continue apace in 2012. The CPG behemoth gave its marketers permission to take more risks and even to fail in 2011. It will be fascinating to see how this plays out in 2012, especially in terms of its marketing and social media strategy. Will other CPG companies follow suit? PR legend Harold Burson worked on this account for 50 years but even the great man would struggle to set out a communications strategy for the future of the national mail organization, as 2012 looms with a cessation of Saturday delivery and another massive round of layoffs on the horizon.